Posted March 26th, 2019 & filed under Full Truckload. It’s important to know how your customers feel about the services you are providing. Good or bad, you need to know their opinions about your business. When you invite the customer to share feedback, it shows that you are willing to listen. Their feedback will help you enhance the areas that are most important to them. The worst thing though that can be done is asking for feedback, then not following up and addressing concerns. Your competitors are probably calling and emailing your customers on a regular basis in hopes of getting their business. Customers expect great service and great products. This requires companies to raise the bar on what they offer and how they offer it. It’s typically best to follow the practice of under promising and over delivering. When you can create value and over deliver, the customer will want to come back for more. 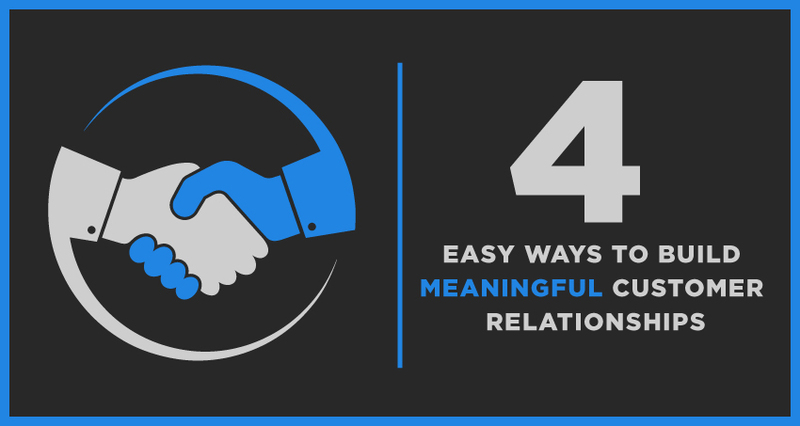 Make sure your customer always leaves a conversation feeling satisfied. They will want to rely on you for future business and will refer other customers your way. Any good relationship in life is based on communication. Have conversations with your customers, and especially practice the art of listening. Its good for your customers to know what your company offers, but it’s even more important to listen and learn more about your customer’s business. Don’t wait until an issue or problem happens. When talking to customers, communication always comes up as the number one item that needs to happen, yet is usually the first thing to go away when something bad happens. Develop a strong line of communication with your customers now, and any difficult conversations down the road will be easier. We get so caught up in the business world with the sell, sell, sell mentality. How often are we stopping and showing appreciation for our customers? Unfortunately, it’s probably not enough. Try taking some time to send your customers an email simply thanking them for their business. Or, pass along a valuable article that may benefit them. Feeling unappreciated may prompt a customer to take their business elsewhere in favor of a company that will value their business. Customer appreciation should always be remembered! If we can do as Halm said and keep the focus on the four practices above, we can build lasting relationships with our customers. The England Logistics Full Truckload division offers a range of services for companies of all sizes. Dedicated team members are available day and night to offer solutions and assistance with all logistical needs. Regardless of the transportation mode, our market and seasonal specialists provide flexible shipping solutions and are committed to helping every step of the way.